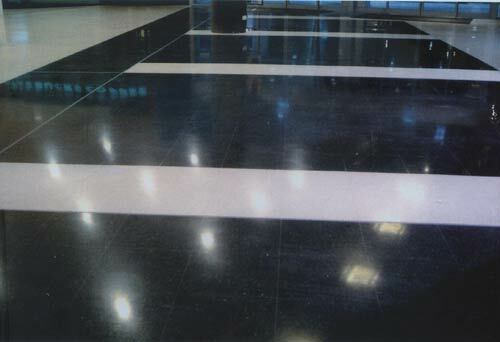 Qantas Domestic Terminal, NSW, terrazzo tiles fixed by Pebblecrete. 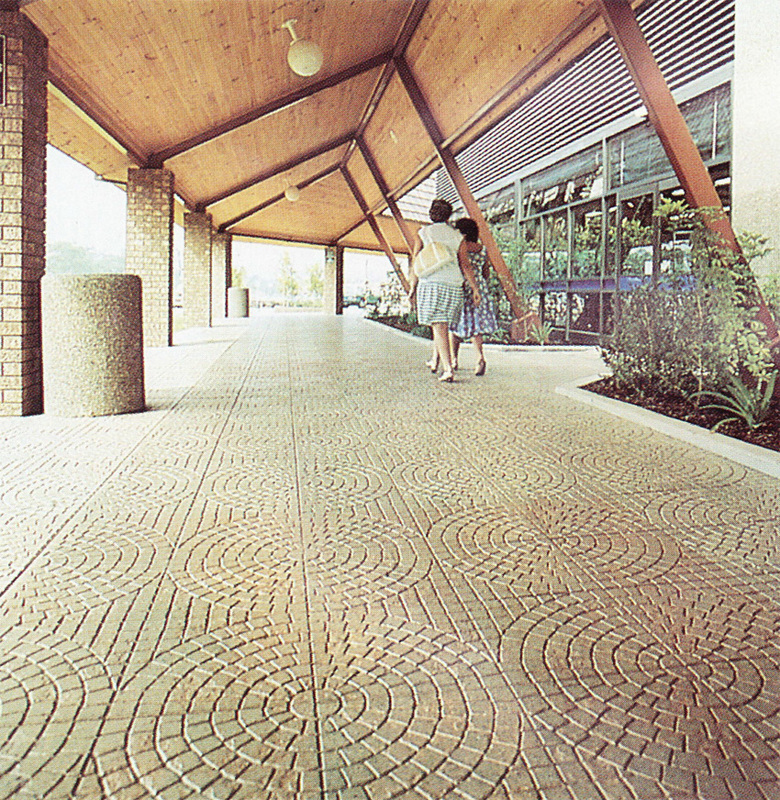 Tiles are hard-wearing enough to withstand weight and movement of mobile cherry pickers and scissor lifts. 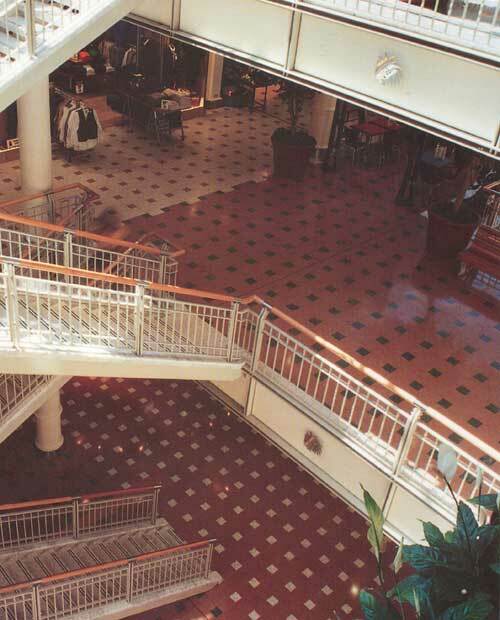 This makes it possible for cleaners and maintenance workers to reach high places. 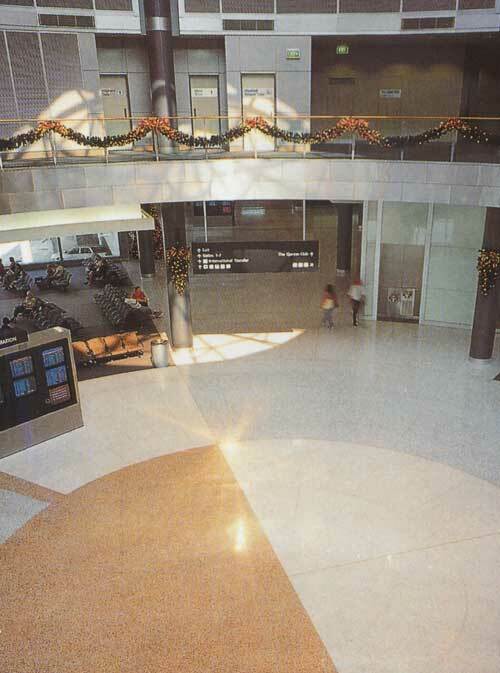 Pebblecrete, a company that Civil and Civic has contracted many times over the last 30 years, supplied sky blue and ochre terrazzo tiles to compliment the terminal's Australian nature theme. 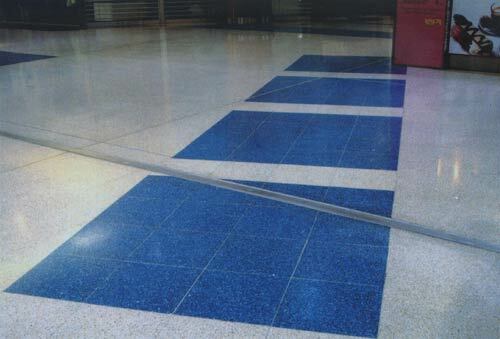 To speed up installation, Pebblecrete prefabricated the entire floor of modular tiles in their factory. 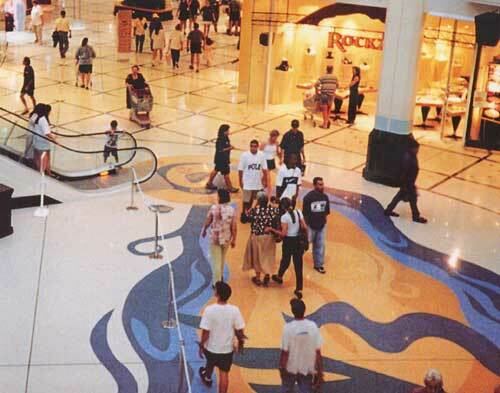 Pebblecrete terrazzo also appears in major shopping centres, including Cairns Central, QLD, Casuarina Shopping Centre, Darwin, Greensborough Shopping Center and Dandenong Plaza VIC. 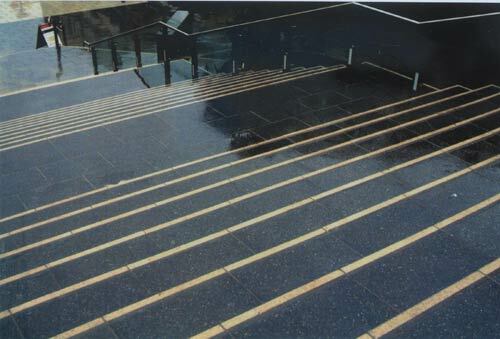 Auburn Central NSW, two tone step treads manufactured by Pebblecrete. 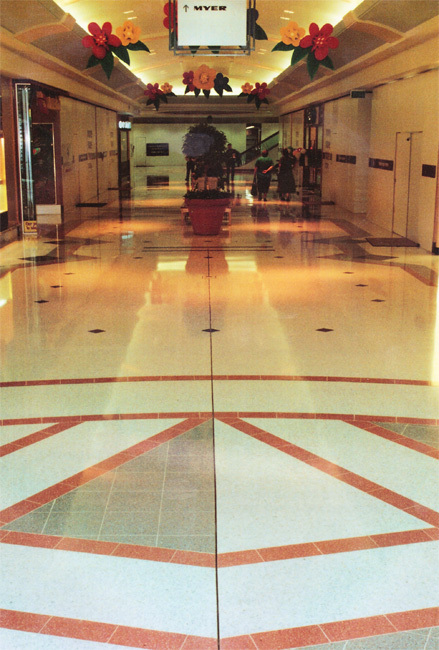 Manufacturing and fixing by Pebblecrete In-Situ Pty Ltd. Manufacturing and fixing by Pebblecrete In-Situ Pty Ltd. Manufacturing and fixing by Pebblecrete In-Situ Pty Ltd. Manufacturing and fixing by Pebblecrete In-Situ Pty Ltd. Westfield Eastgardens Shopping Centre, Pagewood. 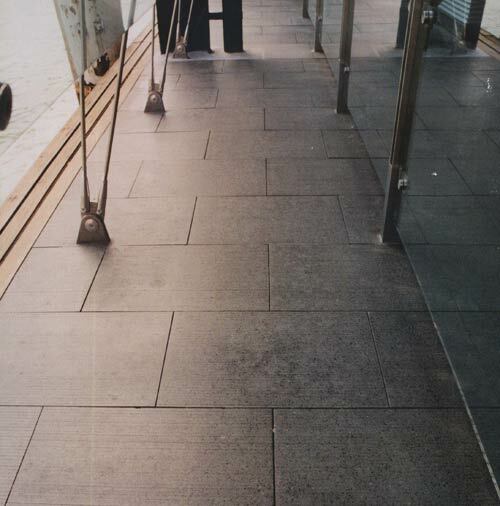 Manufacturing and fixing by Pebblecrete In-Situ Pty Ltd. Circular Quay Ferry Terminal, Sydney NSW, tiles manufactured by Pebblecrete with special grooved finish to avoid slipping. 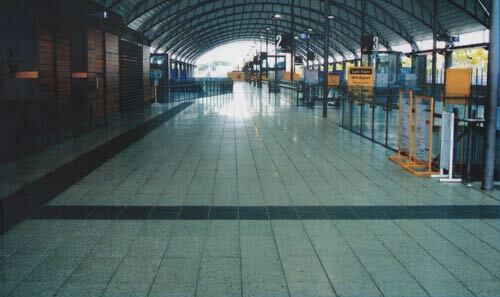 Olympic Park Station Homebush NSW, manufactured and fixing by Pebblecrete, tile size 600x300x60mm. 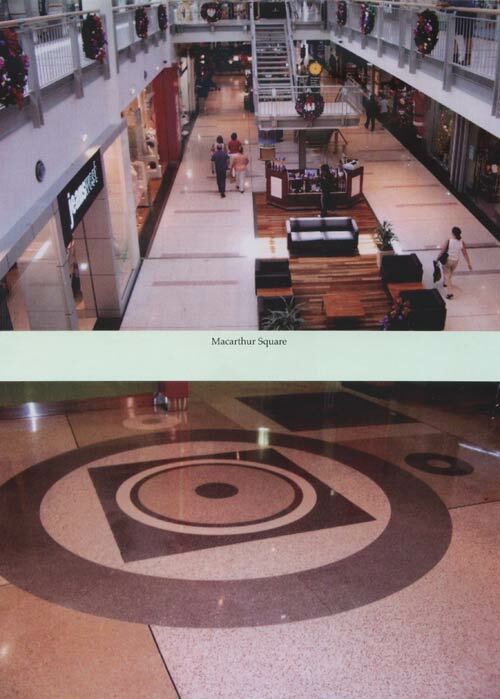 Macarthur Square Campbelltown NSW, terrazzo modular tiles, manufactured and fixed by Pebblecrete. 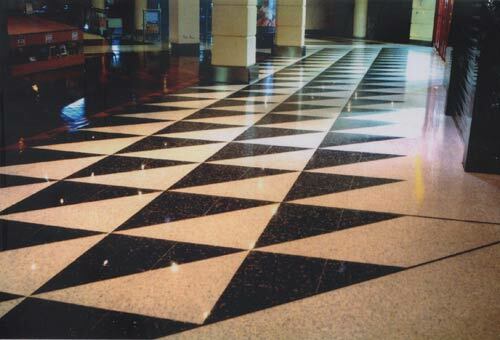 Also feature terrazzo manufactured by Pebblecrete in precast units. 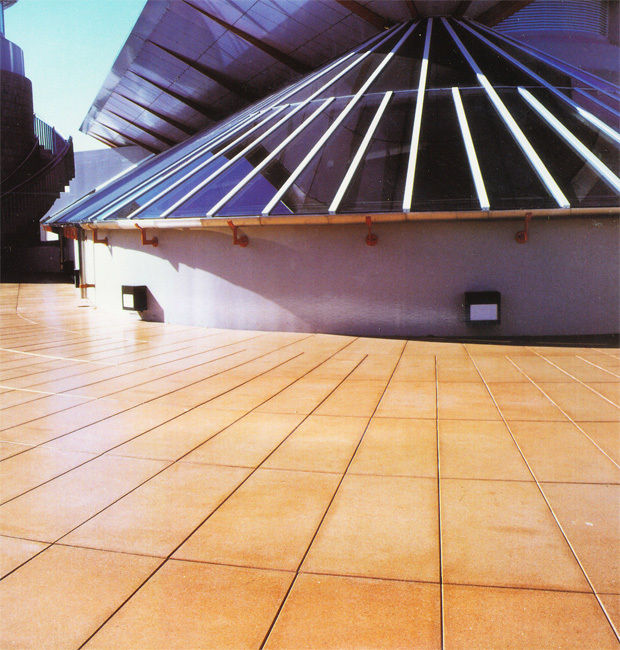 Hyde Park South Sydney manufactured and fixed by Pebblecrete in 1991. This job was designed specifically to take the weight of heavy loads and after all these years is still a pleasure to look at. 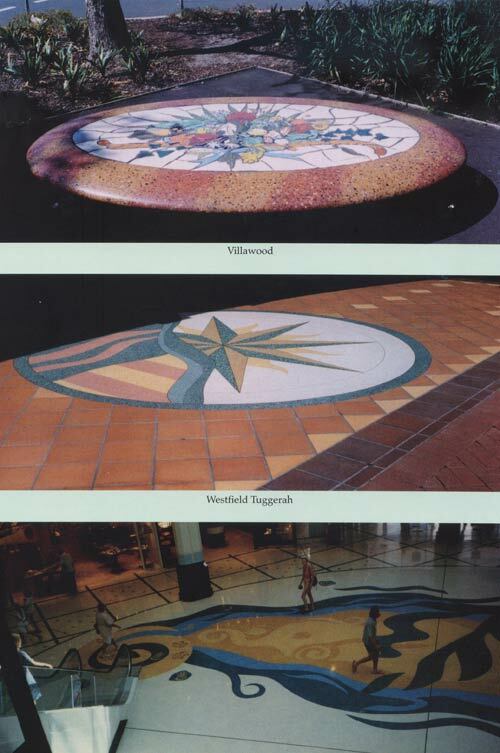 Some motif work produced by Pebblecrete. 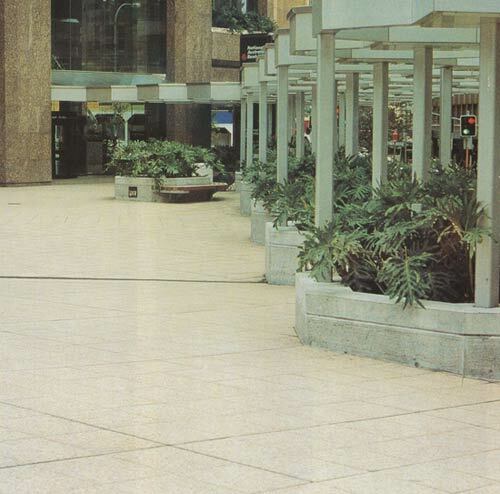 National Australia Bank on the corner of George and Grosvenor Street, Sydney was manufactured and fixed by Pebblecrete in 1984, being one of the first jobs to use honed reconstructed stone paving. 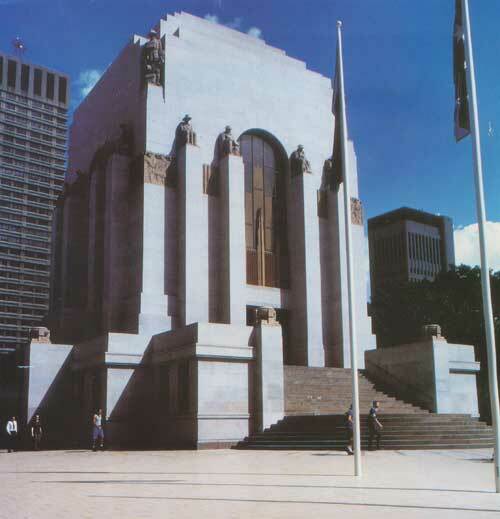 After all these years the works still look strong and beautiful. 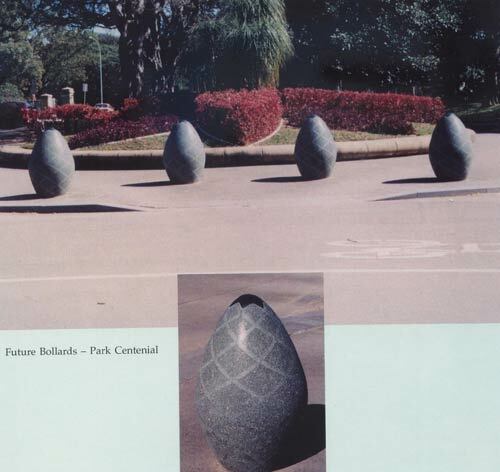 Feature bollards, Centennial Park, manufactured and fixed by Pebblecrete. 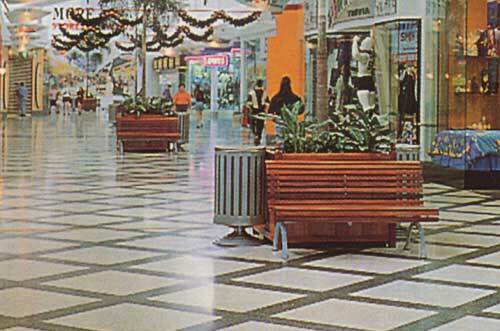 Westfield Penrith Plaza NSW, manufactured and fixed modular tiles by Pebblecrete. 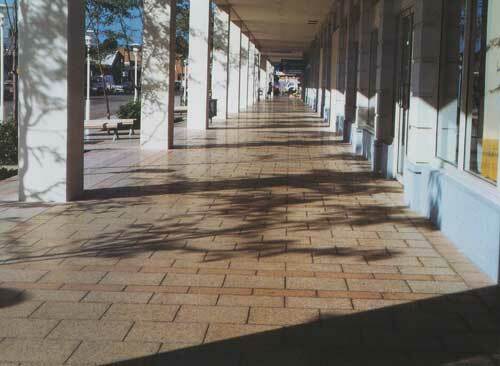 Australia Post, Redfern NSW, tiles manufactured only by Pebblecrete. 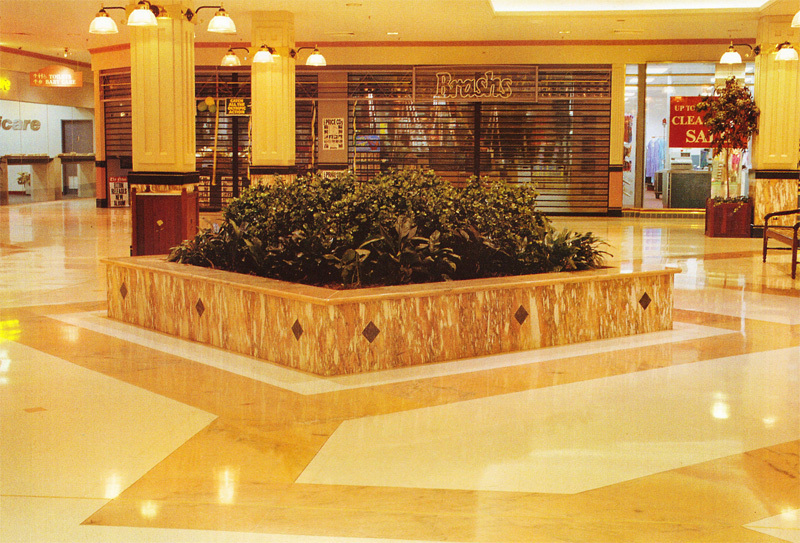 Westfield Penrith Plaza manufactured and fixed by Pebblecrete in 1992. 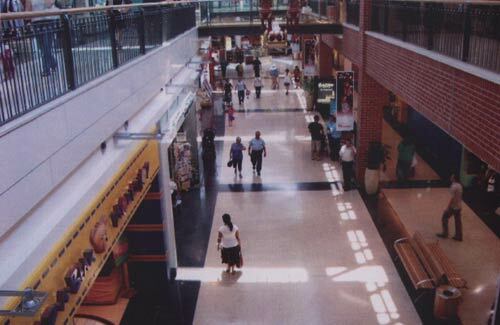 Westpoint Shopping Centre, Blacktown NSW. 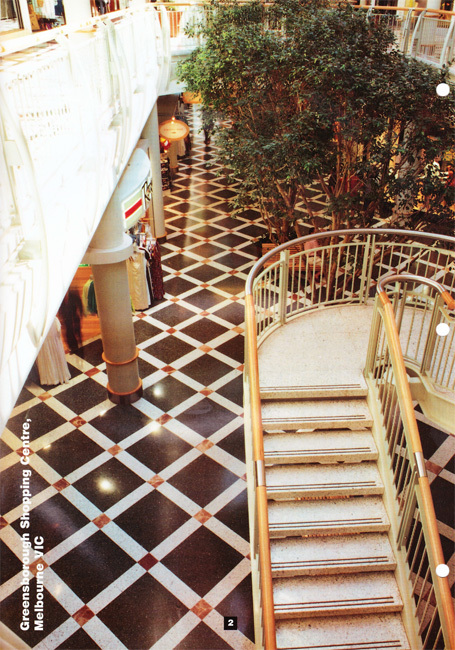 Three floor levels of modular terrazzo tiles, size 400x400 in several different colours has been carried out, manufactured and fixed by Pebblecrete. 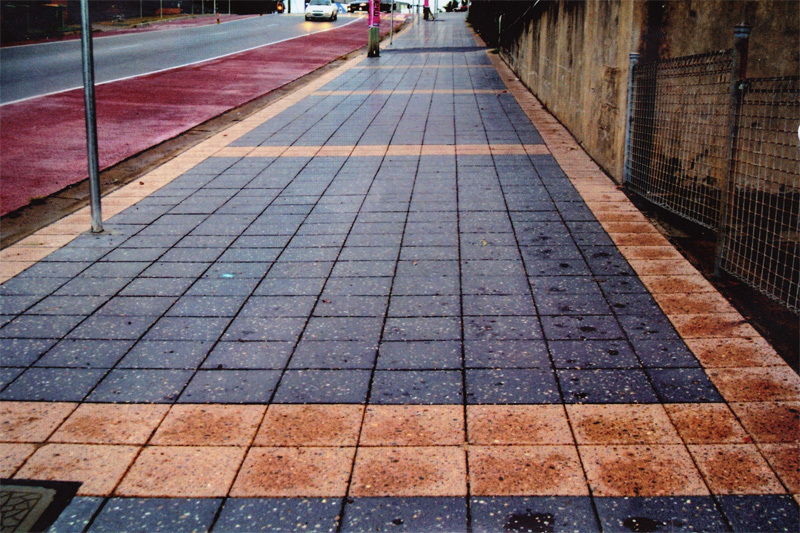 We believe it would be worthwhile for anybody in the industry to go and have a look at this outstanding work. 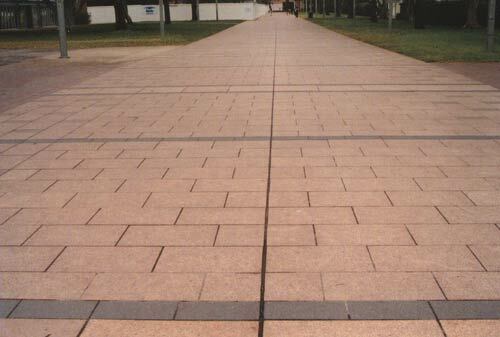 One of the larger paving jobs, tile size 400x600x60mm that has been manufactured and fixed by Pebblecrete. 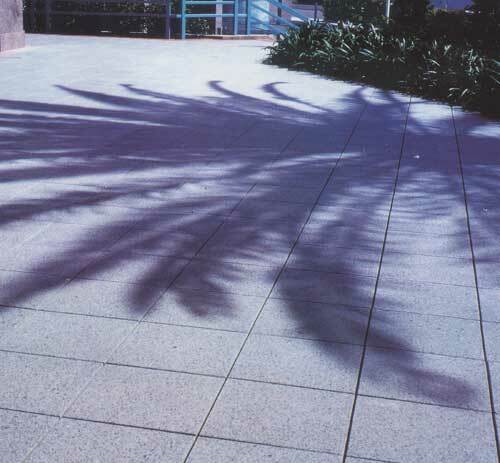 At this particular University, Pebblecrete has been supplying and fixing pavers for the last fifteen years in various colours, sizes and thickness including step treads and cappings.